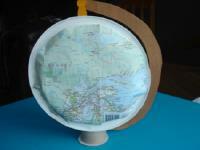 Children will love finding where they live on this simple globe. 1. Gather your material. You will need sand paper, a clothes peg, a paper plate, white glue and/or hot glue, scissors, a map of your region, a heavy cardboard tube, and star-shaped stickers. 2. 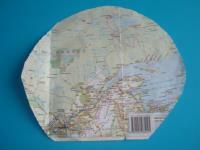 Cut out a section of the map, giving it a round shape (the same size as the paper plate). We must see the area you live in on the map. 3. 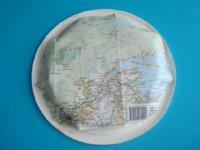 Glue the map on the bottom of the paper plate to represent a globe. 4. 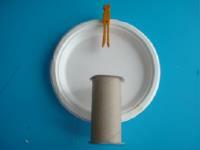 Turn the paper plate over and glue the clothes peg at the top of the plate. 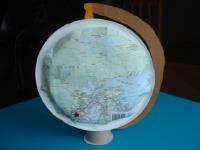 Glue the cardboard tube at the base of your globe. 5. 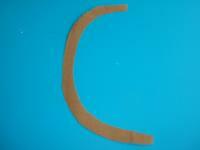 Cut a « C » shape out of the sand paper. 6. 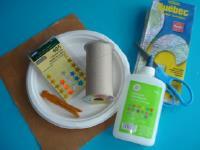 Glue the sand paper support behind the clothes peg and behind the cardboard tube. 7. 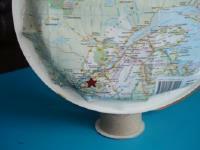 Help children identify the town they live in on the map and have them stick a star-shaped sticker on the correct spot.